Married: December 12, 1839 in Dennis Ma. 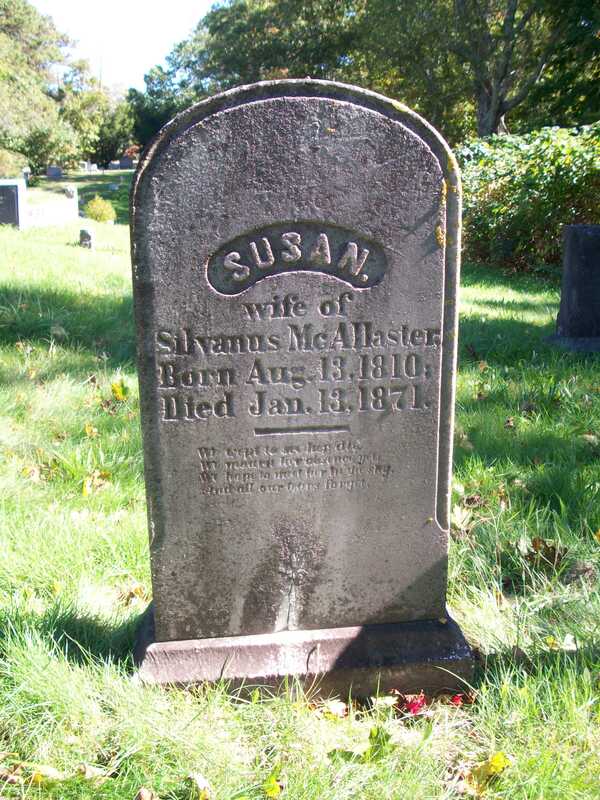 To: Sylvanus McAllister; (1810 – 1887) (Thomas McAllister & Nancy Smith); Sylvanus married (2) Jane E. (Marsh) Witherell (1833 – 1900) (Joseph Marsh, Rev. & Mary A. (–)) in Sandwich Ma. 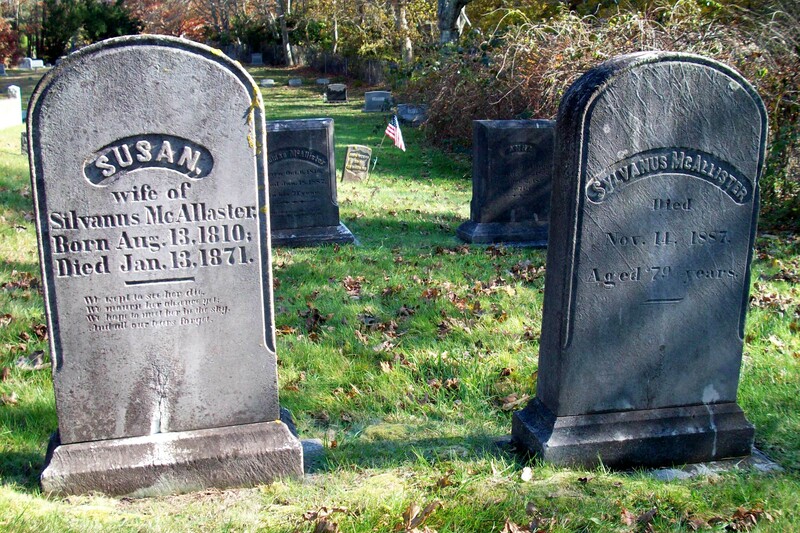 on October 31, 1872; Jane married (1) Moses Witherell, Capt. 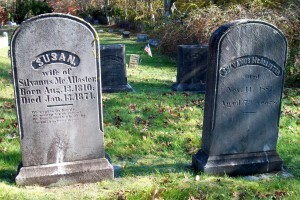 (Abt.1809 – 1871) (John Witherell, Capt., War of 1812 & Sarah Lawrence) in Sandwich Ma. on August 15, 1869; Jane Married (3) Luther Douglas (1825 – ?) (Ephraim Douglas & Deborah E. (–)) in Bourne Ma. on October 17, 1889; Moses married (1) Abby G. Parker & (2) Roxanna Fisher/Fish; Luther married (1) Lucy Swift (Gibbs) & (2) Abigail J. (Hamblin) Dunham.